One of the richest statements found in the Talmud about the meaning of Jewish identity is the following: “He who does not feel shame and humility before others, does not show love and compassion or abundant kindness to others, such a person is not from the seed of Abraham.” According to this statement, Jewish “genes” are as nothing without Jewish ethics. To be counted among the seed of Abraham, one’s character structure must reflect the values by which Abraham lived. Maimonides was fully in accord with the talmudic concern with action rather than descent, with purpose and commitment rather than race. He expressed it as follows: “The distinguishing sign of a child of the covenant is his disposition to do tzedakah.” Placing action at the centre of Jewish identity mirrors a fundamental characteristic of the Judaic tradition. For Aristotle, the peak of human perfection was to be found in thought. Man perfected himself to the degree that the objects of his thought were perfect. God – the most perfect being – was engaged in thought upon His own perfect self. In the biblical tradition, human perfection was realized in moral behaviour. Not thought but action; not knowledge of the cosmos, but involvement in history. The prophets condemned the community not because of their failure to become intellectuals, but because of their failure to feed the hungry, clothe the naked, care for the lonely and protect the socially vulnerable. In the Jewish tradition, God is the creator of life, and His message to humanity is expressed in the language of mitzvah (commandment). His presence in the world entails human responsibility to improve the conditions of society and history. In the Jewish tradition, we live in the presence of God when we hear a mitzvah that obliges us to act in a particular way. Maimonides wrote that God gave the 613 commandments so that a Jew can find one mitzvah that they can perform with love and complete devotion. One of the distortions of modern existentialism is the exaltation of the virtues of sincerity, devotion, authenticity, etc., irrespective of their specific content. The sincerity of the Nazis in no way mitigates their barbarity and depravity. Subjective attitudes are important aspects of human behaviour, only if their content is worthwhile and significant. It is ludicrous to celebrate Maccabean courage without appreciating their commitment to monotheism, mitzvah and the dignity of Jewish particularity. In celebrating Chanukah, therefore, we should direct our attention to the problematic issues involved in the spiritual survival of the Jewish community within the modern world. Many traditional Jews believe that Jewish particularity is incompatible with modern mass culture and that Judaic bonds holding together the community cannot bear the stress caused by exposure to the cultural rhythms of the larger non-Jewish society. Those who accept this assessment of Judaism in the modern world turn to social and cultural separation in order to secure Judaism’s survival. There are others who are skeptical as to whether this ghettoization can succeed. Modern communication makes it impossible to escape acculturation to modern “Hellenism.” It is, in their opinion, futile to resist. We should accept our fate and accommodate ourselves to the inevitability of our eventual assimilation. A third option, which defines the philosophy of the Shalom Hartman Institute, rejects the defeatism of the latter point of view and also the separatism of the former. We question the belief that Judaism has always survived because of its radical separation from the surrounding culture. Chanukah does not commemorate a total rejection of Hellenism but, as Elias Bickerman shows in From Ezra to the Last of the Maccabees, the revolt focused specifically on those aspects of foreign rule that expressly aimed at weakening loyalty to the God of Israel. 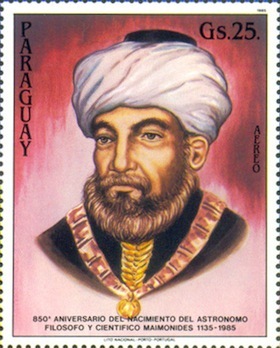 Maimonides’ thought was clearly enriched by his exposure to the writings of Aristotle and Plato and Islamic scholars such as al-Farazi and Ibn Baja. Rabbi Joseph B. Soloveitchik was enriched by Kant and Kierkegaard. These two great halachic teachers are living examples of the intellectual and spiritual enrichment that results from exposure to non-Jewish intellectual and spiritual frameworks. The major question that we must ponder on Chanukah is whether the Jewish people can develop an identity that will enable it to meet the outside world without feeling threatened or intimidated. Can we absorb from others without being smothered? Can we appreciate and assimilate that which derives from “foreign” sources, while at the same time feel firmly anchored to our particular frame of reference? In order to determine what we can or cannot select, it is essential that the modern Jew gains an intelligent appreciation of the basic values of their tradition. Learning was not essential for our ancestors, because they were insulated by the cultural and physical Jewish ghetto. For the Jew to leave the protective framework of that ghetto, it is necessary for them to have a personal sense of self-worth and dignity. In celebrating Chanukah, we remind ourselves that our Jewish identity must not be grounded in biological descent but in a heroic commitment to a way of life. Our past, the memories we bring from the home we came from, are only the beginning stages of our spiritual self-understanding as Jews. How we live in the present and what we aspire for in the future must be the major sources nurturing our identity as Jews. On the holiday of Shavuot, we remember how our people pledged to live by the Ten Commandments. On Chanukah, we remember how that commitment inspired a nation to engage in a heroic battle against religious tyranny. Today, the battle for cultural and spiritual survival continues. In the Western, free world, the battle is against indifference, anomie and cultural assimilation. In Israel, the challenge is to do battle against making nationalism a substitute for covenantal Judaism. For Jews who live in the different areas of the globe, the memory of the Maccabees can be an inspiration to persevere and believe that, ultimately, they will be victorious in their struggle. Rabbi Prof. David Hartman (1931-2013) was founder of the Shalom Hartman Institute. This essay on Chanukah, one of several on the holiday, dates to 1984. This and other writings have been brought to light by SHI library director Daniel Price. Articles by Hartman, z”l, and other institute scholars can be found at shalomhartman.org. Previous Previous post: What does Chanukah mean?